Episode #109 is all about August Ragone, author of Eiji Tsuburaya: Master of Monsters! This episode features a long time friend, author and kaiju historian, August Ragone. 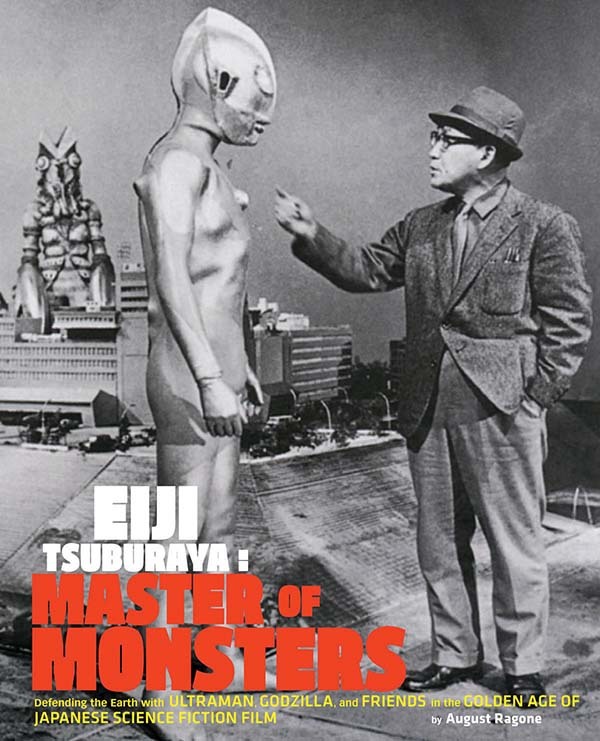 If you haven’t checked out his book Eiji Tsuburaya: Master of Monsters, it is a gorgeous book filled with fantastic photos and information about the father of tokusatsu. If you missed out on the first release, I had a copy of the book before I sent it to our big winner in our last contest and it really does look fantastic! It’s a light-on-the-news episode since I just released episode 108 on Monday, so there’s not much after the interview, but a stick around for a few cool things (at least I thought they were cool) that Legendary has launched in the interest of doing more with their fans. Consider this – if the movie actually turns out to be a hit and Godzilla fans are happy, I think we will all be quite satisfied with the level of attention the studio is giving to us. I actually can’t think of another film release that has done so much to connect with the fan base. Anyway, check out the links below as they pertain not only to the interview, but also the news and upcoming events. And if you see me at an event, let’s get a photo together! Get your tickets and watch the new Godzilla (2014) and then send in your homework (thoughts, questions & reviews of the film) before May 24th to be included in the next Daikaiju Discussion episode!